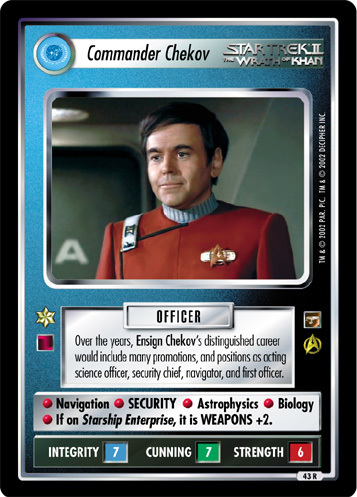 Ensign Chekov arranged an attack on his captain in the hopes of moving up in rank. Spent time in the I.S.S. 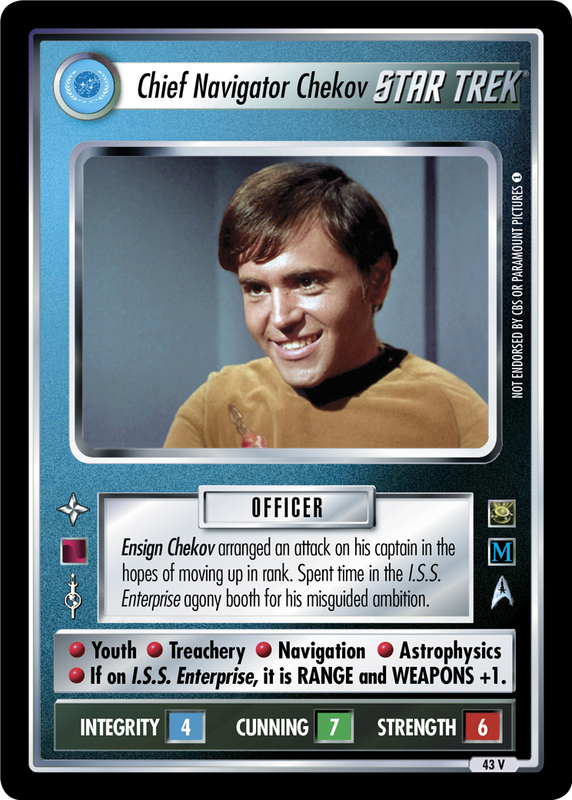 Enterprise agony booth for his misguided ambition. • Youth • Treachery • Navigation • Astrophysics • If on I.S.S. Enterprise, it is RANGE and WEAPONS +1.